Lisbon has a new attraction, which opened during the Architecture Triennale in October 2016. 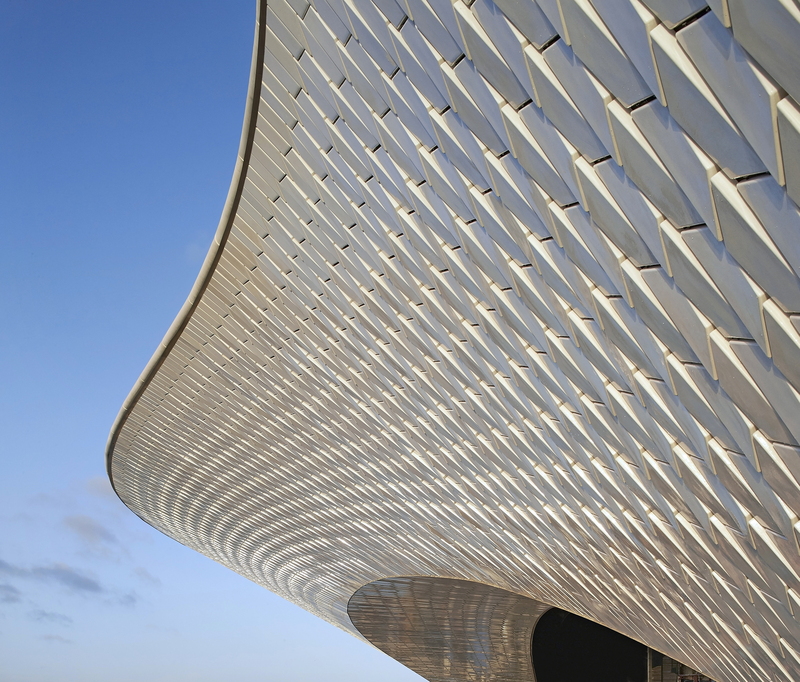 The Museum of Art, Architecture and Technology (MAAT) brings together the new building designed by London-based architect Amanda Levete with the revamped Tejo Power Station to become a cultural hub. A few weeks ago we recommended a trip to Lisbon (link), including the Museum of Art, Architecture and Technology (MAAT) on our list of attractions. Under the direction of Pedro Gadanho, former curator at the MoMA and commissioned by the EPD Foundation, the new museum is located on the banks of the Tagus river in Bélem, and is part of a broader project to revive the urban waterfront. The museum complex dedicated to exploring contemporary culture through visual arts, new media, architecture, technology and science is housed in two buildings, and the first phase opened on 5 October 2016 during the Lisbon Architecture Triennale (link). The new building designed by AL_A, architecture firm established in 2009 by RIBA Stirling Prize winner Amanda Levete with directors Ho-Yin Ng, Alice Dietsch and Maximiliano Arrocet is inspired by the movement of the water and captures the changing light that varies with the time of day. The four gallery spaces are located underground to avoid excessive height of the building, and its undulating form allows it to blend structure into landscape, which also includes the old refurbished power station. An example of early 20th century Portuguese architecture that is an integral part of the MAAT. The building designed by Amanda Levete is still unfinished, and all its parts will be completed only this Spring, when phase two of the building will be rolled out, along with a pedestrian bridge in the outdoor area connecting the museum's usable rooftop with the road behind it and an outdoor park designed by Vladimir Djurovic Landscape Architects. Still, the “early” opening of the MAAT during the Lisbon Triennale was important to show off to a large international public what Pedro Gadanho describes as follows: “With its unique industrial heritage, a growing collection of Portuguese art and an innovative exhibition programme, MAAT will be a cultural space of discovery, critical thinking and international dialogue”. In terms of aesthetics and usability by the community, we have noticed certain similarities with the Opera House of Snøhetta in Oslo, which lays the perfect groundwork as a real urban plaza on the waterfront that once again becomes a part of the city life. Tierra Atacama. Unique experience in the Chilean desert.